Yesterday I came home to a letter I'd been looking forward to for a long time. I did not now exactly what to expect, but I'm truly amazed right now. Some of you are probably familiar with Danny Friedman. 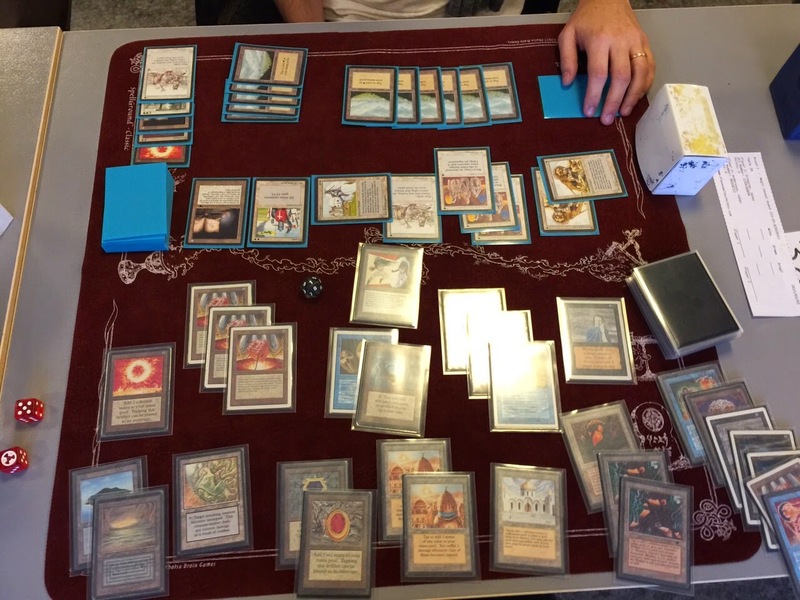 He is a long time Vintage player and one of the real pioneers for old school magic in the US. He is also a pimp aficionado with an amazing collection and a very skilful artist. As a big fan of Alpha cards combined with his altering craftsmanship, he was the first (and so far only) person I've heard about who has attempted Alpha altering of his cards. I first saw some of his work at his Twitter account and was thoroughly impressed. About six weeks ago, I contacted him to see if he would be interested in altering three cards for me on commission. He did not do it on commission though, but instead did it for free as gift and a sign of friendship from the old school community across the ocean. It was one of those weeks with a full plate. Evaluations, meetups, n00bcon preparations and things at work that should be done before Easter sets in. I started to write three different posts in the last two weeks, but I've realized that all of them needed a few more hours of research before they were done. That is not really time I have before the weekend though, so I'll just rant today. 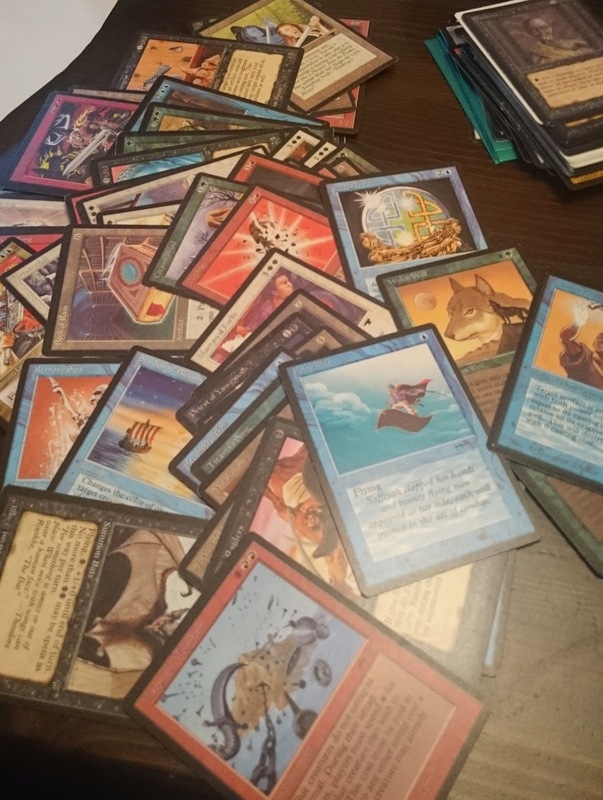 One of the top things currently on my mind in Old School Magic is the emerging community in Oslo, so lets talk a little about how to build a deck in the format. 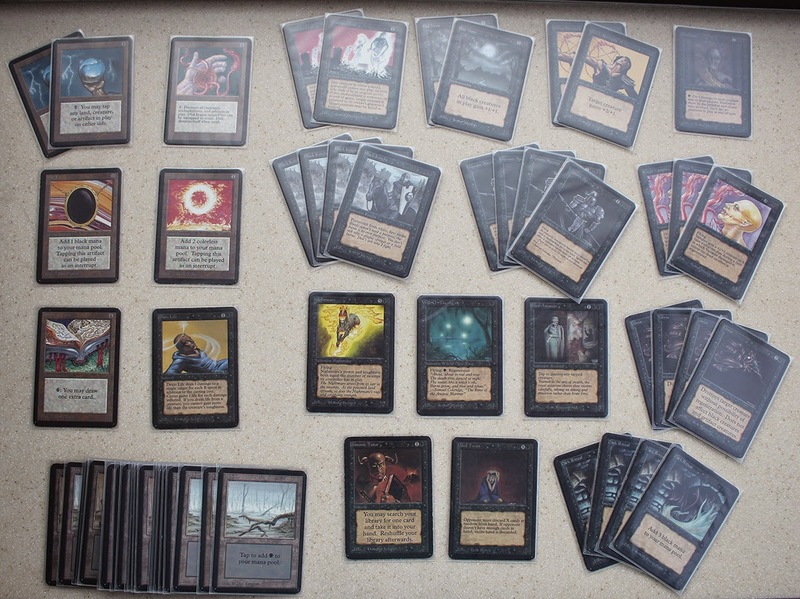 Building your first 93/94 deck can seem like a daunting task. Most people don't own any cards legal in the format, and it's not like you can go to your local card store to buy a starter of Unlimited and a couple of Legends boosters and start cracking. Decks in the format can easily hold price tags well above $10,000. So, where to start? 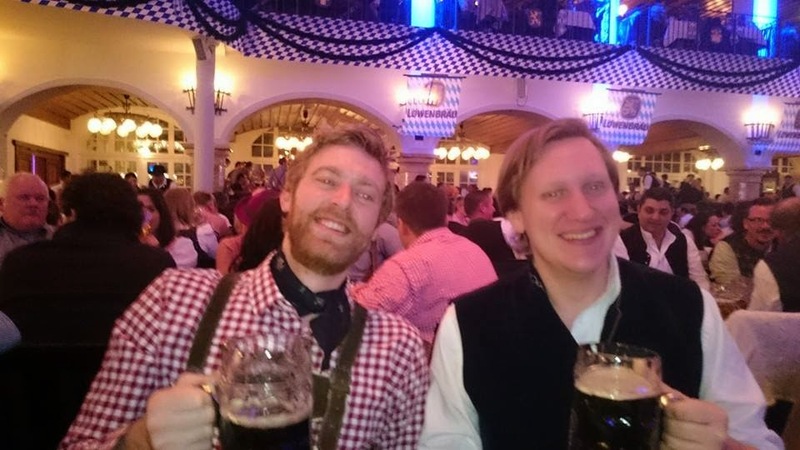 Starkbierfest lives up to its name. The beer is stark and it's clearly a fest. Germans in lederhosen lifting rocks and chopping wood, dancing on tables and drinking 9% ABV beer in one-litre maß glasses. I'd highly recommend anyone to give it a try. Morning after then. Woke up at a friends place with Hardy and a next level headache. Still worth it though. We went to Munich best burger joint, the legendary Burger House to nurse our hangovers. A few burgers and vanilla shakes later, we were back on track. The next step was to meet up with Andreas "Custer" Schneider, a local old school player who had invited us to his home for some weissbier and card slinging. This is one of my absolute favorite parts of old school Magic. It may be a small community, but it's tightly knit, and the players I've met around the world are always so friendly and inviting. Maybe surprising, but the shared passion for the origins of Magic opens a lot of doors. Updating this blog is mostly a pleasure. Every now and then though, I feel like I don't really have the time to write an interesting post. This was one of those weeks. There has been a lot of travelling on the agenda, and I'm working on a presentation for a meetup this Wednesday evening. 93/94 teching had to take a back seat to socialising and work. As I type this, there's a 93/94 tournament going on at the StabCon convention in Gothenburg. I unfortunatly couldn't make it to the tournament myself this time, but Freespace just sent over a picture from when he managed to exchange from 1 to 20 life with Mirror Universe against WW. So there's that. Mirror Universe really is a ridiculously strong card in many matchups. In the Arvika tournament last weekend I went 6-0 in matches, and at least three of those wins would have been massive losses without the Mirror. It is somewhat amusing that it is close to broken in 93/94, but pretty much unplayable in all other formats. Kind of like Recall.